"I can truly say that my husband has seen me in my rawest form when I’m struggling ... devoid of makeup and flare, but he's also seen me at my strongest ..."
I seriously cannot contain my excitement! Not only does it feel so good to be back blogging, I absolutely LOVE today's fit couple and the BEAUTIFUL, INTIMATE love story told through their engagement session with Jessica Perez Photography. 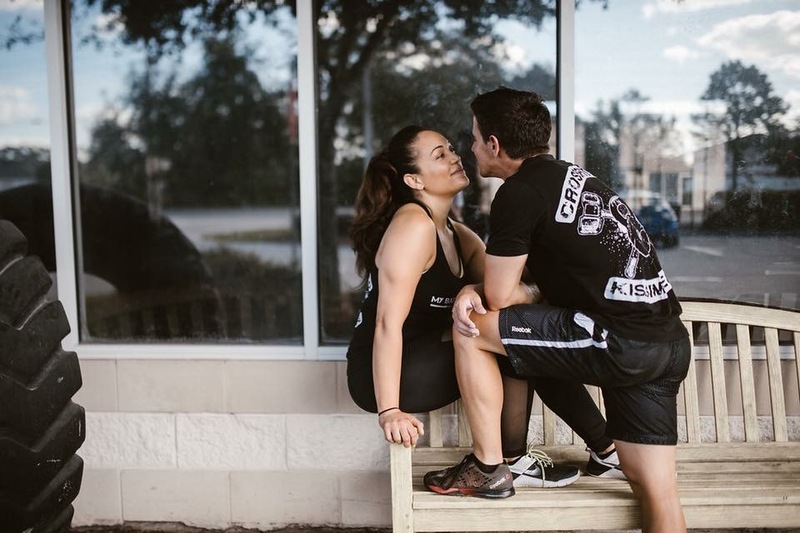 It was love at first wall ball for Virna & Luis who describe themselves as one of the first couples to come out of CrossFit OCD in Kissimmee Florida, which has bred many more fit couples since! 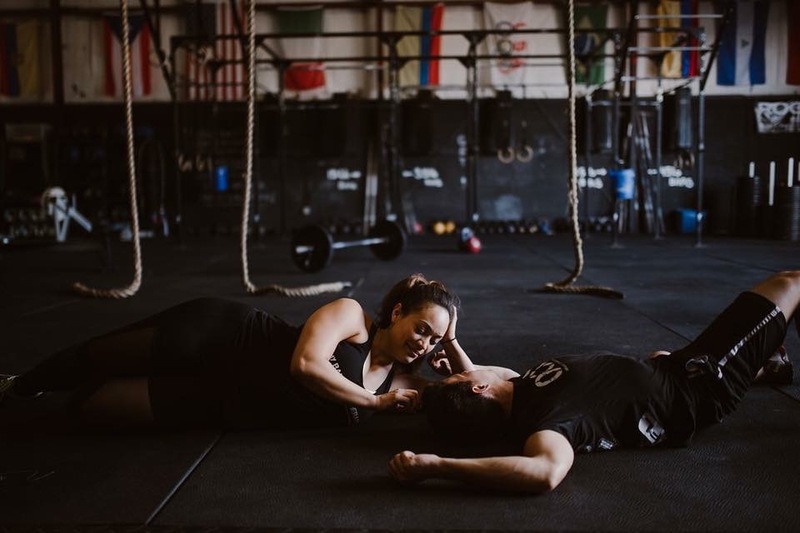 To them, there was no question about whether to incorporate CrossFit in their engagement photos because they met and fell in love at CrossFit and, they spend the majority of their time there! Virna also says CrossFit has been "one of the most influential experiences of my life," transforming the way she see herself and her abilities -- adding she's also never looked or felt better in her life! Tell us how you met! Did it involve CrossFit? I started CrossFit in January 2013. With a few 6 month “off” periods since then. A close friend of mine had started doing CrossFit and would come home beat yet would eagerly go back for more. I was confused about what was going on and curiosity got the best of me! I went and tried it out and have been at it since. Did Luis start CrossFit around the same time? Luis started CrossFit nearly a year after I did. He came across bodybuilding videos which eventually led to his discovery of Rich Froning so he searched for the nearest box and found CrossFit OCD. What was your initial reaction to CrossFit? I was sure I had done something wrong, however, it reminded me of childhood play, and I loved that. What was your aim in doing CrossFit? My initial aim was weight loss. I dropped two dress sizes, the size I wore in high school- over a decade ago! I developed pronounced arm muscles, my lower body became firm, and I started to develop the muscles in my abs! The best I’ve ever looked and felt! 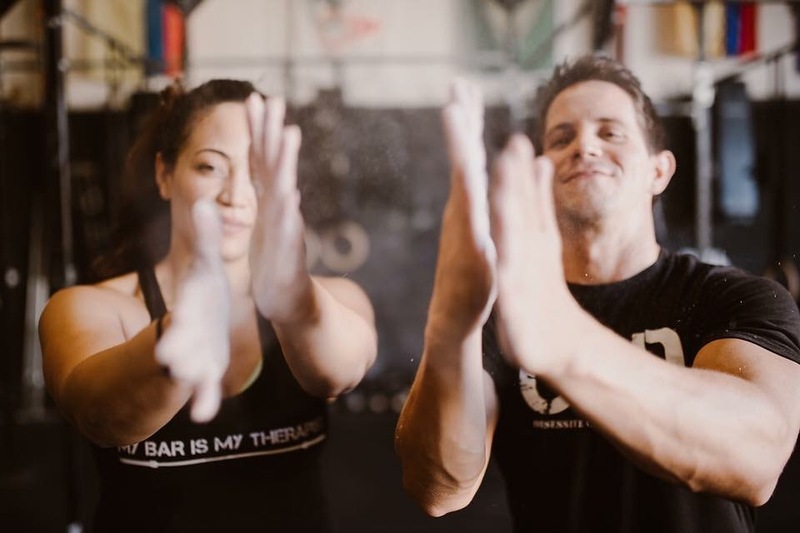 Thankfully, training at our CrossFit box is something we both enjoy as individuals and something we share as most of our time together has been spent there! CrossFit has a humbling power to it. It strikes you at your core and then rebuilds and renews you. I can truly say that my husband has seen me in my rawest form when I’m struggling through a WOD, devoid of all makeup and “flare” and he has also seen me at my strongest when I’m squatting 245 lbs. ; bench-pressing 155 lbs. ; or clean and jerking 145 lbs. 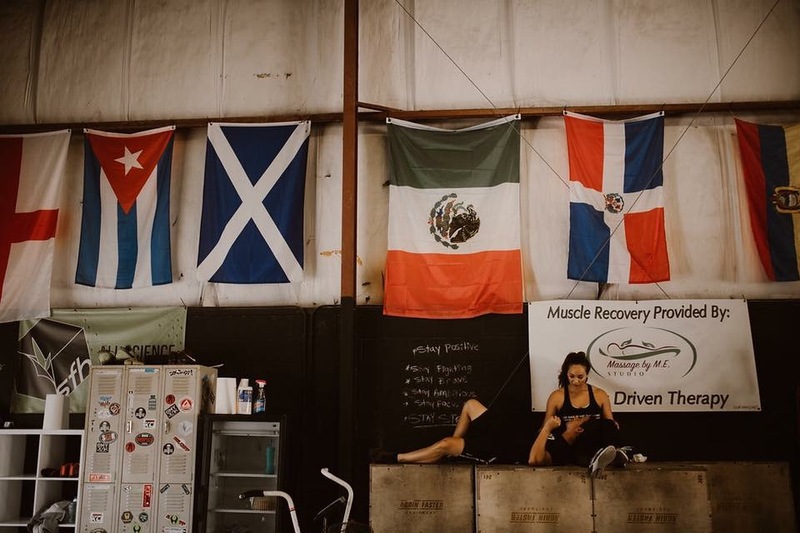 With CrossFit there is no room for pretense, your vulnerabilities are exposed and you’re urged to become comfortable with failure yet the victories are sweet and physical and mental growth is inevitable…. My husband and I cultivated our love for one another under these circumstances. 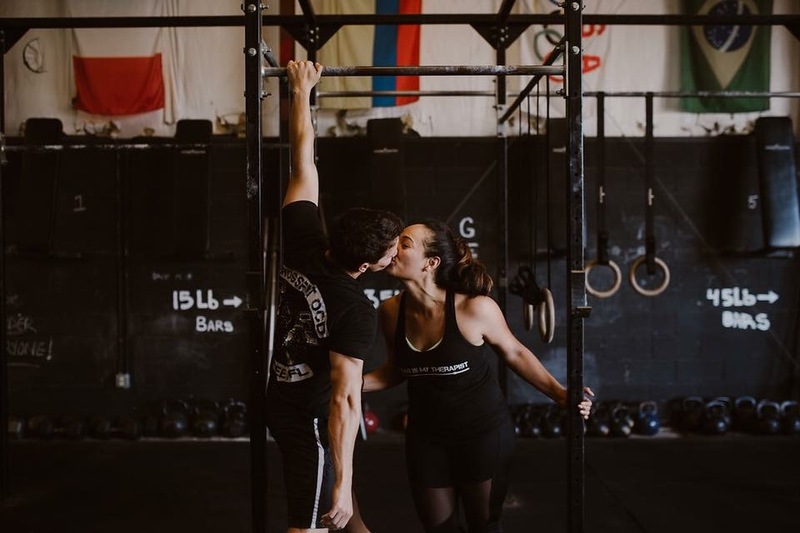 Are there going to be CrossFit touches at your wedding? Our wedding invitations were chalkboard theme and we will have a chalkboard wedding ceremony sign and a chalkboard photo backdrop. 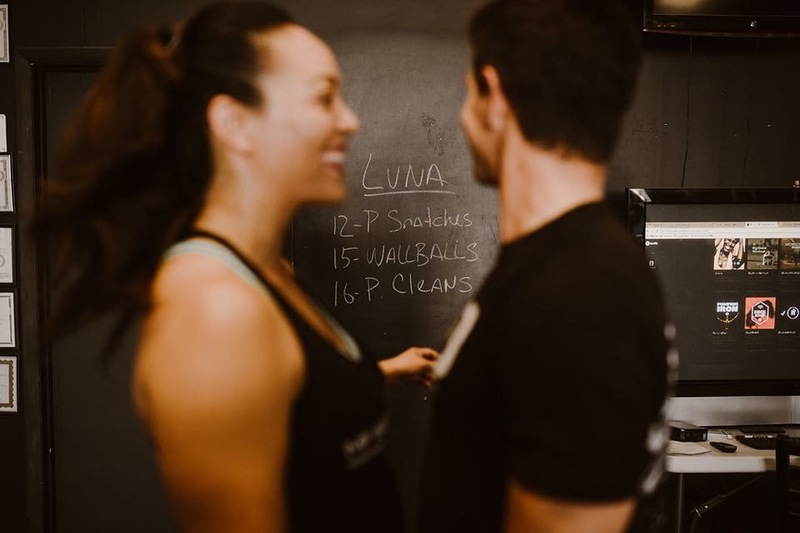 Our CrossFit OCD couple name is Team Luna, Lu- for Luis and Na- for Virna. Luna is the Spanish word for moon, so our wedding cake topper and reception menus are moon-themed…. Our recessional song, played by harp is, "Fly Me to the Moon." Do you have any advice for those new to CrossFit? Invest in a good pair of “CrossFit specific” shoes and knee braces! Take before pictures as you will see results sooner than you think! What's your favorite favorite Olympic lift? I enjoy the clean & jerk, the way it looks and the way it feels. A few years back I discovered the Beauty Detox Solution, a wellness book by Kimberly Snyder and she promotes the consumption of abundant greens and veggies. Dairy free, non-processed foods, no artificial sweeteners, etc. It’s similar to Paleo only without the meat. Just recently my fiancé and I have dabbled into the Bulletproof diet. We eat whole foods and steer away from junky foods. This way of eating feels best to me. 10 years from now… We will likely be raising an 8 year old and a 7 year old! Training together as a family in our home gym. Luis is currently pursuing a career in physical therapy and although I am a speech-language pathologist by profession, my passion has been nutrition. Within the next couple of years I will pursue studies to be a certified health coach and together I can imagine working with the people in our family and community to strive towards a healthier, more fulfilling lifestyle! Fit for a Bride is definitely TEAM LUNA all the way! Leave your comments for Virna and Luis below or over on Instagram! Have you ever dreamt of meeting your future husband or wife at the gym? Imagery provided by the incredibly talented Jessica Perez Photography. 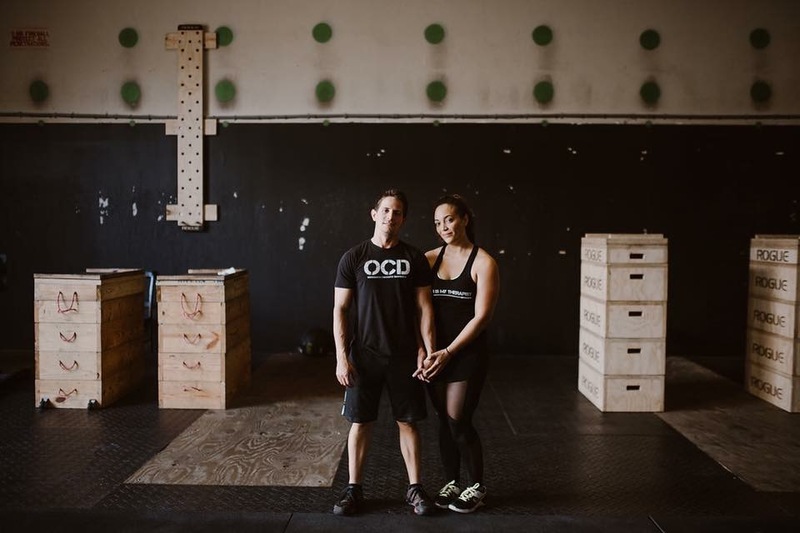 Newer PostCrossFit Couple: Stacy & Bing's "Wodding"